Prosecutors in Chicago are urging anyone who may have been sexually assaulted by R&B star R. Kelly -- or anyone who may have witnessed the alleged crimes occurring -- to come forward so they can investigation the allegations against him. Cook County State Attorney Kim Foxx described the recent allegations made in Lifetime's new documentary series "Surviving R. Kelly" as "deeply disturbing," she told reporters in a press conference on Tuesday. The six-part special, which aired last week and features over 50 interviews, spotlights the singer's alleged sexual, physical and emotional abuse of young women. Several women, including former employees and girlfriends of the singer and his ex-wife, Andrea Kelly, accuse Kelly of sexual misconduct. Kelly had not been charged in any way and has denied allegations against him in the past regarding sexual assault and misconduct. Foxx emphasized the "courage" survivors must conjure up "to relive and repeatedly experience" their trauma but said the investigation cannot be conducted without their cooperation. "We cannot seek justice without you," she said. 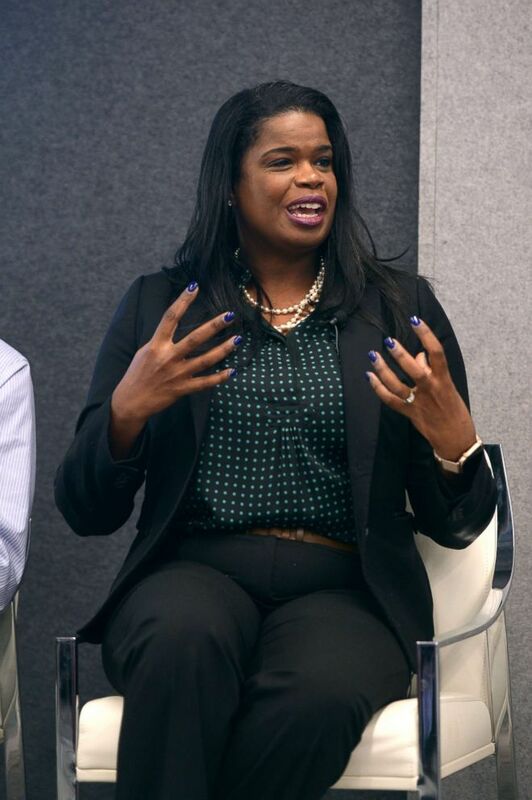 Kimberly M. Foxx, Cook County State Attorney, speaks at a town hall event in Chicago, Nov. 14, 2018. Foxx's office has received "a number of calls" from at least two families in the Chicago area who are concerned with their family members who may have been involved with Kelly over the last several years, Foxx said. Foxx is taking the allegations, which she said are "not new" to her, seriously. She is "sickened" by them, she said. "I was sickened as a survivor," she said. "I was sickened as a mother. I was sickened as a prosecutor." Kelly's Atlanta home was featured in the documentary, but Cook County prosecutors have not had any contact with authorities in Georgia, Foxx said. Representatives for Kelly declined to comment to ABC News. Last week, Kelly’s attorney, Brian Nix, told Billboard that the documentary contained false allegations and that some of its subjects are defaming Kelly for personal gain. "GMA's" Hayley FitzPatrick contributed to this report.